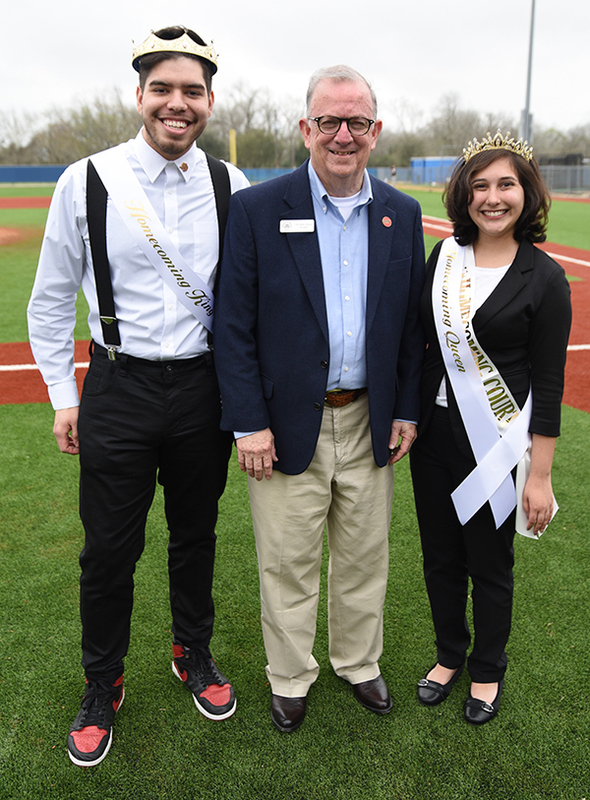 Cesar Gonzalez, left, and Sophia Solano, right, stand with UHV President Bob Glenn Saturday after they were crowned at Riverside Stadium as the university’s 2019 Homecoming king and queen. Solano, a senior from San Antonio, is pursuing a Bachelor of Science in Interdisciplinary Studies with an emphasis on fourth- to eighth-grade education. Gonzalez, a junior from Rosenberg, is studying to earn a Bachelor of Business Administration in both marketing and management.